DELICIOUS MOVIE THEATER BUTTERY FLAVOR: This is the popcorn butter flavor you have been waiting for. 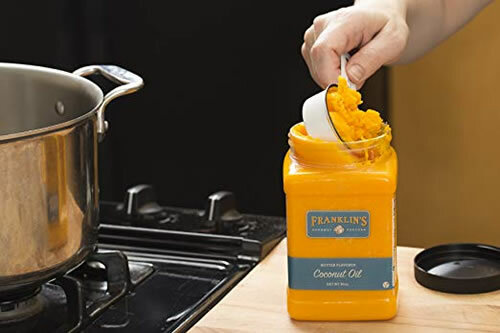 Enjoy that mouthwatering movie theater buttery taste at home and discover why so many people love Franklin’s Gourmet Popcorn Butter Flavored Coconut Oil. EASY TO MAKE/POP IT YOUR WAY: Use Franklin’s coconut oil to make popcorn in whatever way you choose! Whether it be on the stove, a saucepan, the microwave, or even in your countertop or freestanding popcorn machine. VEGAN & NO JUNKY INGREDIENTS: At Franklin’s we believe in quality and the customer first so we sourced our product to have all natural ingredients that are vegan & gluten free with ZERO trans fats. MULTI-PURPOSE: Our unique butter flavored coconut oil isn’t just for popcorn, it can be used for cooking a variety of other foods. Our customers will use our coconut oil for cooking meats, potatoes, eggs, veggies, and much more. 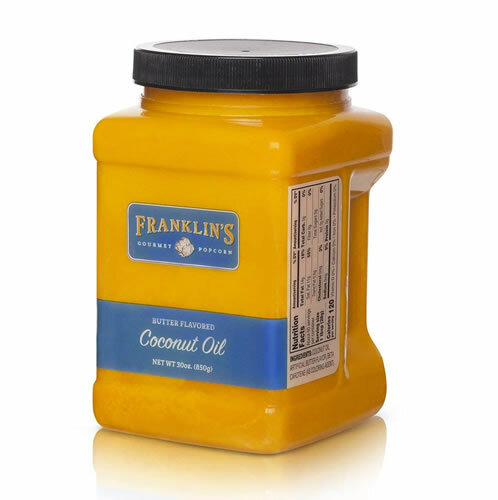 FRANKLIN’S MONEY BACK GUARANTEE – We are so confident that you will love our coconut oil, that we will give your hard-earned money back if you’re not 100% thrilled with your purchase. Simply contact Franklin’s Gourmet Popcorn DIRECTLY for a refund. No tricks, we just believe in our product that much.